The Yu-Gi-Oh! Trading Card Game (TCG) Legendary Dragon Decks set will officially launch October 5th, 2017. We were lucky enough to get our hands on one early, so we figured we would do a simple box opening to give you an idea of what you’ll find inside. First off, the box is sealed in Konami-branded shrink wrap. 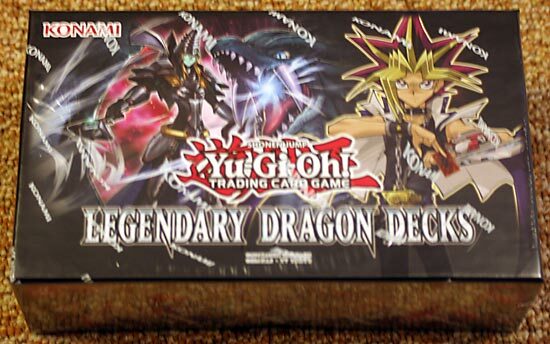 The front of the box features Yami Yugi, and artwork from “Dark Magician The Dragon Knight”. 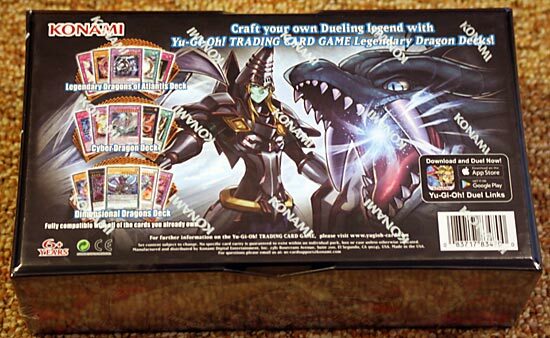 The back of the box features similar artwork along with teasers to the three decks within the box. The sides of the box features dragon artwork from dragon cards you’ll find inside. The box itself is 5″x9, and is a nice quality collector box that you could use for any type of storage if you decide to break up the decks inside. The lid itself can be fully removed like a board-game box. Inside you’ll find the 3 sealed decks inside a removable plastic tray. The decks are well protected in the trays and will not have moved during shipping, so they shouldn’t have any damage. This Collector’s Set retails for $29.99. You get 3 complete theme decks for basically $10 each, and the box is cool. 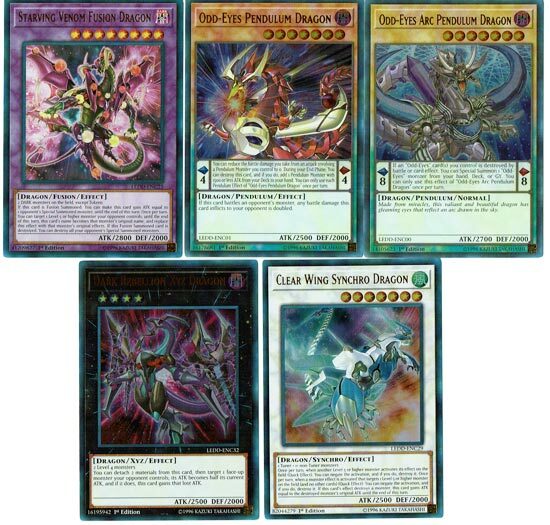 Legendary Dragons of Atlantis! 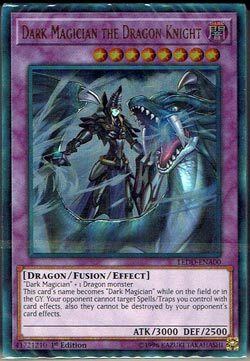 – Apprentice Illusion Magician was retailing for over $30 before this release, and is a good card for certain decks. So those chasing her should definitely consider picking up 1-3 of these. 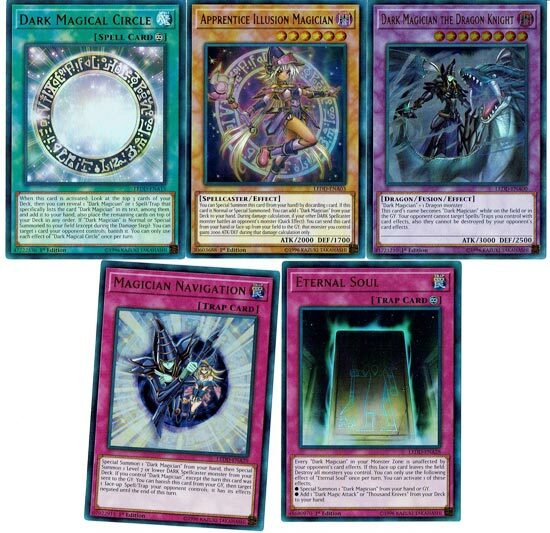 Other nice value cards include: Dark Magic Inheritance, Dark Magic Circle, Magician Navigation, Eternal Soul, Dark Magician Girl the Dragon Knight, The Eye of Timaeus, Dark Renewal, and Dark Magician the Dragon Knight. 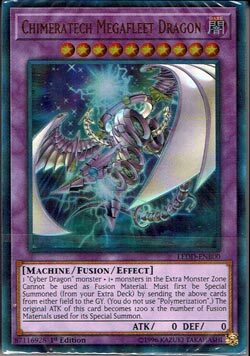 Cyber Dragons! 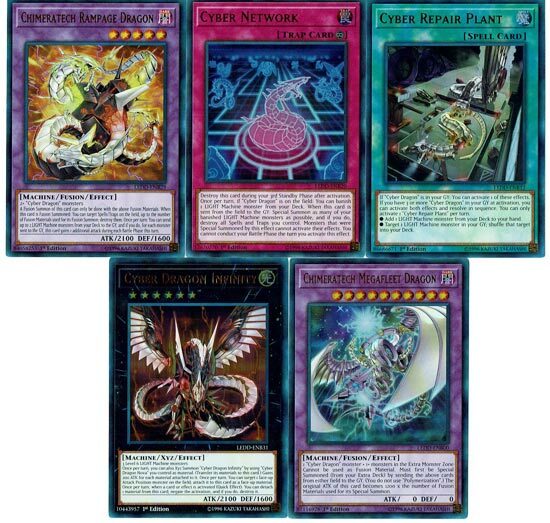 – Not as much value here, but you do get Chimeratech Megafleet Dragon, Cyber Dragon Infinity, and 3 Cyber Repair Plants. You also get Storming Mirror Force, Quaking Mirror Force and Drowning Mirror Force. Dimensional Dragons! 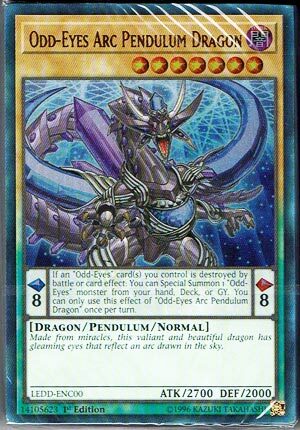 – There are a few nice value cards included here: 2 Odd-Eyes Phantom Dragons, 2 Odd-Eyes Persona Dragons, a Clear Wing Synchro Dragon (Alternate Art), 2 Duelist Alliance! So overall, we think this set is an Phenomenal Value for the cards you get inside. We think the cards inside are easily worth 6-7 times that right now. Sure, existing card values will go down, but still! Also, this is a note to parents of kids that are just starting out in Yu-Gi-Oh! 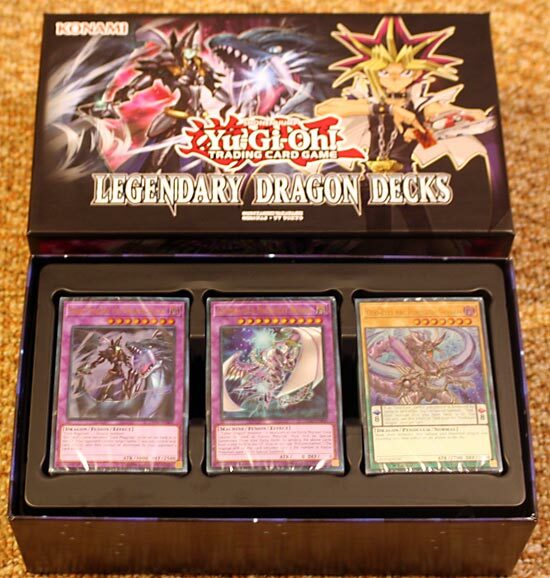 If you are looking for a Yu-Gi-Oh Holiday Gift / Christmas Gift … you cannot go wrong with this purchase! Kids Love Dragons!!! Now, hurry and get yourself at least one set before they’re gone. I’m pretty sure these are going to be in hot demand this holiday season!